1. What is Firebase Analytics? After you release your app to market, it is important to study how people use your application to make informed decisions about how to improve and market your app. For this, you can integrate app measurement solutions into your app. There are many free and premium app measurement solutions out there in the market. Google Analytics, Flurry, Adobe Omniture are the most popular ones. Google recently added Firebase Analytics to the race. The core idea behind all of these tools is to provide insight on app usage and user engagement. Firebase Analytics from Google is a free app measurement solution using which you can understand how people use your app and track user engagement. Firebase SDK for mobile platforms, automatically captures a number of events and user properties and also allows you to define your own custom events to measure the things that uniquely matter to your business. It also allows you to perform custom analysis and do complex analysis by joining multiple data sources. You can track how your campaigns across organic and paid channels are performing and accordingly define an effective marketing strategy. The detailed insight of your data can be viewed in Firebase console. The dashboard provides detailed insights about your data — from summary data such as active users and demographics to more detailed data such as identifying your most purchased items. To use Firebase Analytics to your Android project, you need Android 2.3 (Gingerbread) or newer and Google Play Services 9.4.0 or newer. 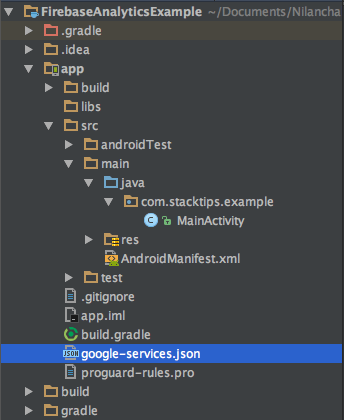 In this example we use Android Studio 2.2, Mximunum SDK version 17. 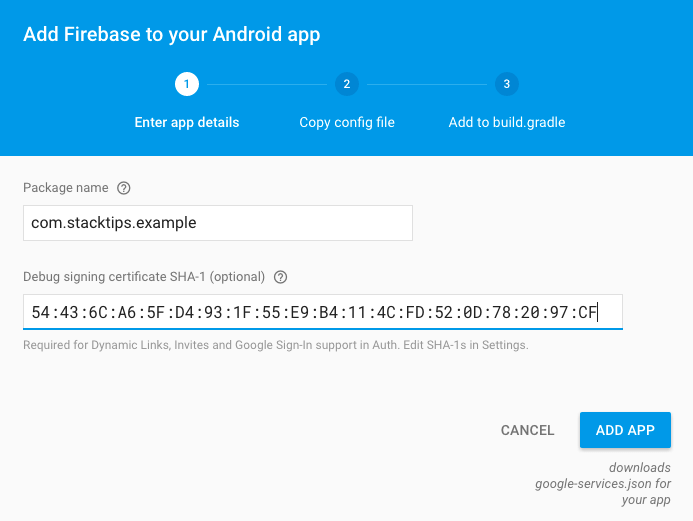 Now that we understand what the Firebase Analytics platform can do, let us see how to use Firebase Analytics for your Android application to track application usage. Integrating with Firebase Analytics in Android involves two steps; installing the Firebase SDK and Logging events and/or properties. After the dependencies are added Sync your project with gradle file changes. With this we’re done with the project configuration. Once the Firebase SDK is configured properly, several events are captured automatically by Firebase. Check out the list of default events tracked by Firebase SDK. You can use the above methods to configure firebase analytics tracker and track custom everts. User properties are attributes you define to describe segments of your user base, such as language preference or geographic location. Firebase automatically logs some of the user properties; such as App version, Device model, Gender, Age, Interests, OS version and New/Established. You can set up to 25 different Analytics User Properties in your app. Note that, the user property names are case-sensitive and that setting two user properties whose names differ only in case results in two distinct user properties being logged. Hey Nilanchala. Great tut. Very easy to understand and Insightful. Any idea how to user firebase cloud messaging ? any examples? Thanks Mari. I am currently working on a Firebase cloud messaging tutorial. It will be published in a day or two.